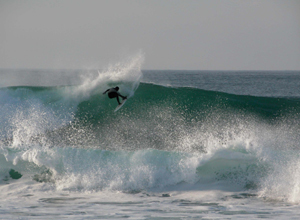 Surfing the Hebrides, one of the best surf locations in Europe. To get up to date info on Hebridean surf conditions Magicseaweed provide swell direction, size, wind and tidal information. XC Weather provide an excellent wind direction, speed and forecast website. There are several sources of weather forcasting information, the Met Office provide an excellent service with access to satellite images and long range forcasts, you can also access the shipping forecasts from here. Another source is On Line Weather who have inshore forecast for the Outer Hebrides. If you visit Stornoway Canoe Club sites there are links to other good sites with information.